Impressive close-up of this grasshopper. Superb close-up of the details and textures! Wonderful shot and light! Love the little shadow! 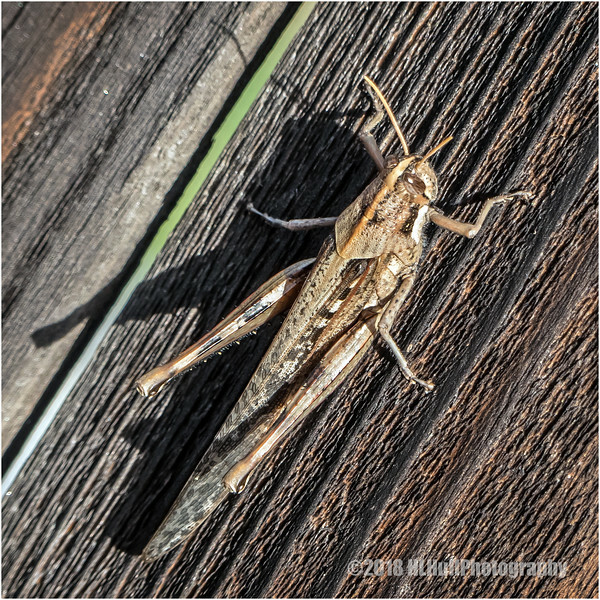 I had no idea there were 11,000 species of grasshoppers! Amazing. This is a really nice close-up of this one, whatever species it is. That guy could disappear in some tall grass. Nice shot. Excellent capture of this jumpy subject that can be difficult to capture close up unless it's in the mood to cooperate.